New 4-story V-A Multi family apartment w/13 units (studio and 1&2 bedroom mix). Landscape ROW improvements are included, including sidewalk improvement, where required. No parking provided. Add one building with four apartments behind existing house. Demo existing industrial building and construct a new 4 story building with approx 6k sq of retail space at main level and 3 stories of apartments (24 units) above. Proposal is for multiple building mixed used development w/underground parking, private streets and pedestrian access corridors. Proposal is for two towers on single site with a single level of parking below grade (173 spaces). One tower will be 6 stories with retail and grocery space at ground level and 5 levels of apartments (162 units.) 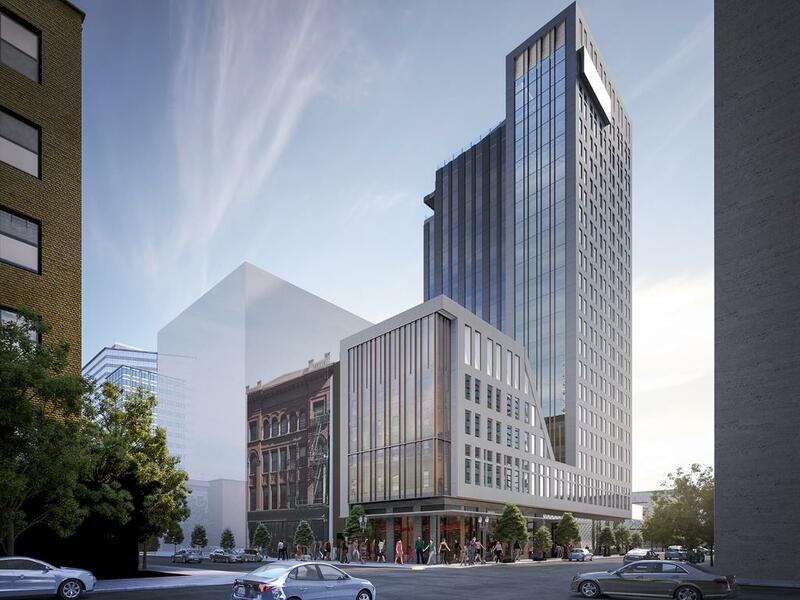 second tower will be 12 stories with retail, residential amenities and parking for grocery (65 spaces) and ten stories of affordable apartments above for 204 units. 6-story, 146-unit residential project with a small ground-level retail space, 73 parking spaces and 231 bike parking spaces. Also an Adjustment to loading and driveway locations. 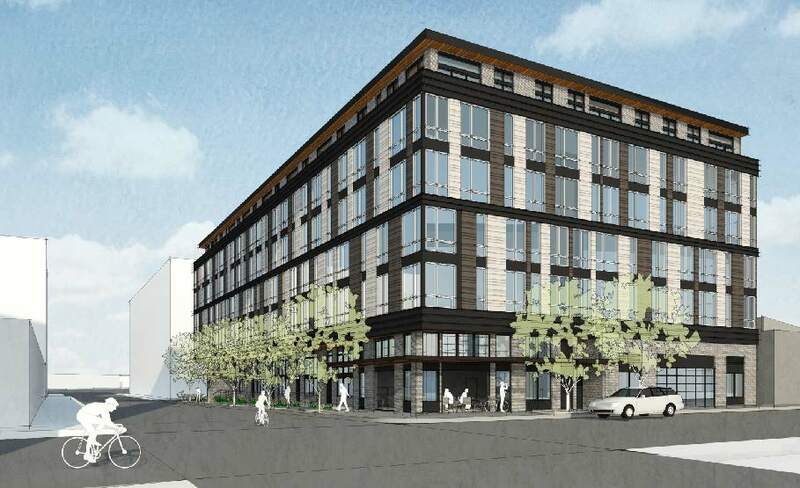 Type III Design Review for a new 6-story office building – 58,862 square feet. The project will include ground-floor retail and approx. 12-18 below-grade parking spaces. Full restoration & renovation or Historic 1857 Halloc & McMillen Building.